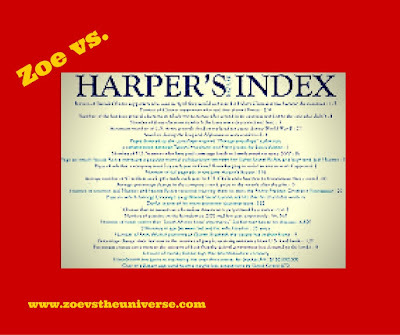 There's no Harper in Zoe's class. The Harper I'm referring to in the title is the magazine, specifically, its long-running, monthly feature where numbers and figures are presented, in seemingly random order, and yet a general picture emerges. Of what I'm not smart enough to know. I'm just smart enough to reference something smart-person adjacent. That's my level. I had a roommate in grad school who subscribed to Harper's Magazine, and though I was too much of a low-brow to get through an article that would surely have elevated my aforementioned eyebrows, I always read the one-page index. *Source: My observations. No actual math was suffered. However, hyperbole may have been engaged in. Do the math, click here to subscribe. 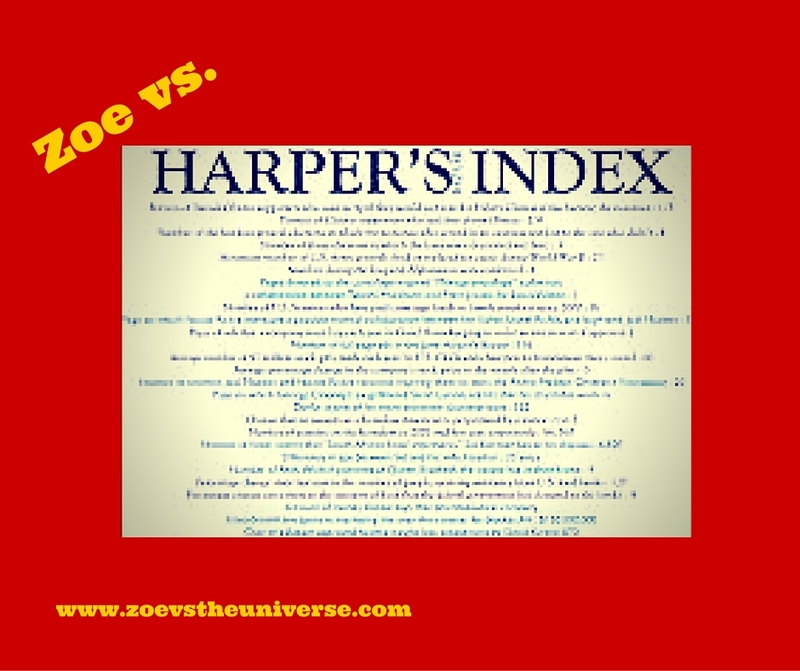 Zoe vs. "The Book Blurb"